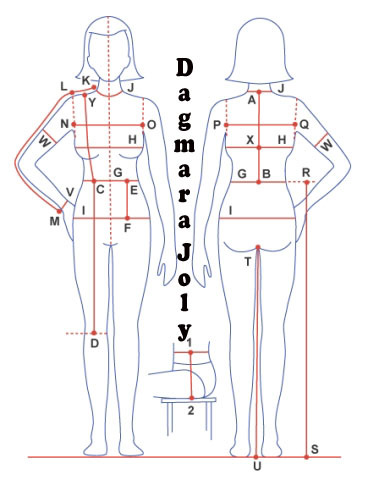 At Dagmara Joly, most items can be made to measure. What does this mean? It means that you can choose your item send me your measurements and I will make your item for your exact body shape. After your purchase I will send you a list of exact measurements I would need to make your garment for you. If you have any questions please contact me directly at contact@dagmarajoly.com before ordering.